It looks delicious. Maybe I´ll get to try it. Gert, I lupa to get the fish sauce. Any particular brand should I look for at the Asian store? Your green curry looks delicious. I must try it. Rajin lah you... Eh, do you know if the ready-made Green Curry Paste available anywhere? Retno, this curry is really mild. 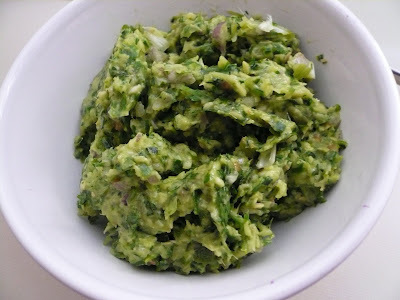 Cat, I normally will used the ready made curry paste but since I have plenty of cilantro and thai basil in my flower pot so I thought I should make my own paste. My fav. brand for all the curry paste is Mae Ploy and they are really good. Give it a try. Gert..wow! !your green curry look good!.I never cook any green curry b4.Just bought a ready mix paste by asian meals..I'm going to try soon! !Did you taruh chilly padi? 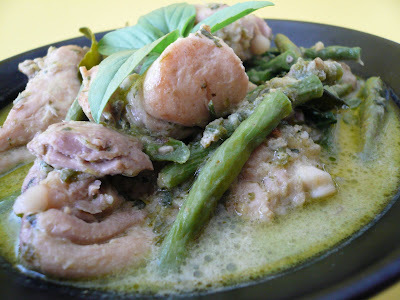 Hi gert..one of the famous thai dish ni...me too..never try this curry b4..looks yummy! nice..I also usually make my own paste..taste better. Jun, this dish senang masak. so tempting chick curry, i saw ur purple onde2 too, so xotic! 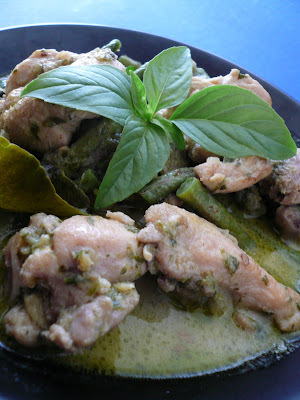 I trid the Green Curry Chicken in Phuket but I don't quite like it cos its got sweet base. Maybe because Thai's got sweet tooth that's y it is sweet. isha, I too like the colour of the ondeh ondeh a lot. Sue, I too find the Thai's like sweet stuff even in their savory dishes. Cook some for yourself as this way you can adjust the sweetness to your liking.